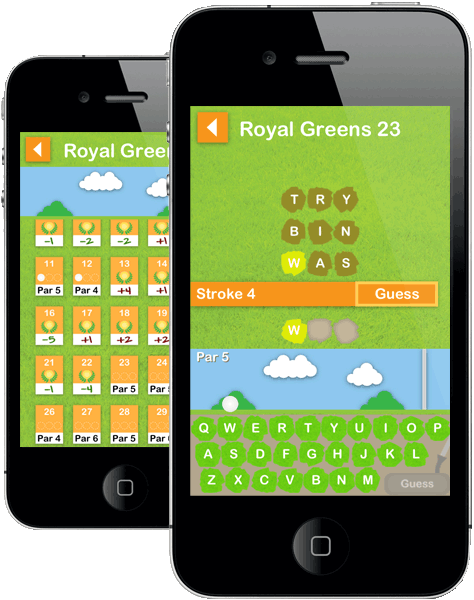 In this lush word game combining golf and classic puzzler. Numerous courses filled with hundreds of puzzles are at your disposal. Increase your deduction and spelling skills along the way. What will your next stroke be? Each takes you to a new (and sometimes exotic) destination and comes with its own unique backgrounds. As you also progress through the greens, the word that you must decipher increase in difficultly.